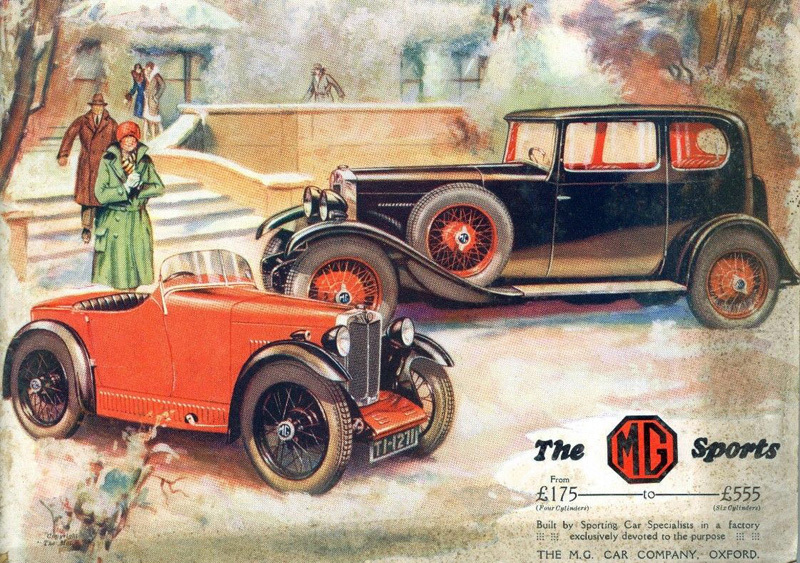 Appearing on he front cover of 18th December 1928 edition of the Motor magazine was an MG Car Co. advertisement. (of which this is an extract) Alongside the new 18/80 six cylinder model was a depiction of the MG Midget, launched just two months earlier at the 1928 London Motor Show. What is interesting about this artwork is that the Midget body had still to undergo changes before the first production examples appeared just over a month later. This artist’s impression shows the car with a raised scuttle and sculptured doors ala the prototypes that appeared at the Motor Show, while the production bodies did not have either of these features. Also of interest is the Limerick CBC registration – TI 1271. Did the artist have a premonition concerning the capacity of the engine that was to power the Wolseley Hornet some 16 months later? Doubtful, but an interesting co-incidence none-the-less.